The top priority for Dr. Don Newman when it comes to his patients is a positive, pleasant dental experience. A close second is an amazing, healthy smile. "I wanted to make a difference in people's lives, and helping them have healthy teeth and gums does exactly that!" Don says. 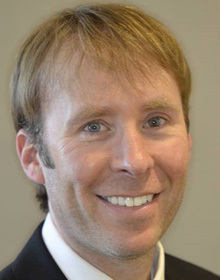 Dr. Newman graduated from North Central High School, and attended Indiana University for both college and dental school. He then bought a dental practice in Indianapolis, Indiana & soon after opened a second location in Carmel, Indiana. He is now joined by his two brothers. "Our specialty is patient care, comfort, and involvement." "Our specialty is patient care, comfort, and involvement," Don says. "Creating a fantastic smile is a team effort between my skills and knowledge, our amazing staff, and the patient themselves." When he's not treating and educating patients, Dr. Newman spends time volunteering as a Pre-K baseball coach at the Carmel Dad's Club, attending Indiana University basketball and football games, and watching the Colts or the Pacers. Don lives in Carmel with his wife, Jennifer, and his two young sons, Braiden and Brooks. According to Dr. Marc, the main difference between doctors and dentists is not just the type of procedures they do - it's the amount of personal interaction they have with their patients. "Healthy patients typically see their dentist more often than their physician. I have the privilege of really getting to know everyone I treat!" Dr. Marc graduated from Indiana University with a Bachelors of Sciences degree in Biology, and followed up with a Doctor of Dental Surgery from the Indiana University School of Dentistry. Dr. Marc wanted to join a private practice with a dentist willing to mentor him, and his older brother Dr. Don Newman was able to offer that type of opportunity. "Dentistry is artistry and science combined." "Dentistry is artistry and science combined," says Dr. Marc. "To be able to do a challenging procedure, make it look easy and feel comfortable, and deliver a spectacular result makes my day!" Dr. Marc lives in nearby Broad Ripple with his wife, Katie. When they aren't working, the couple enjoys spending time together. Favorite activities include taking long walks with their dog Wally, kayaking around Eagle Creek, dining at their favorite and new local restaurants, traveling, going to concerts and the theatre, and spending time with their niece and nephews. 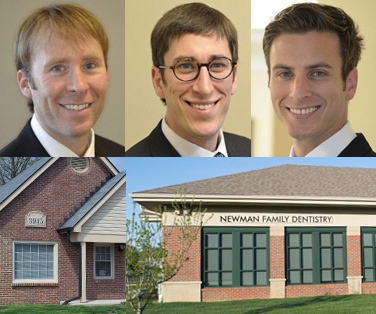 For Dr. Mikel Newman, dentistry is more than a career, it's a passion - and one he shares with his two brothers, Don and Marc. "I love being able to help people lead happier, healthier lives," says Mikel, adding, "Getting to share that experience with my family is an added bonus!" 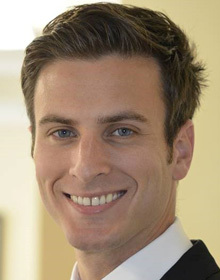 Dr. Mikel graduated with a BA in Chemistry from Indiana University and earned his DDS at Indiana University Dental School in 2012 before joining his brothers at Newman Family Dentistry. Of all the procedures Mikel does daily, helping with tongue tied or lip tied infants with breast feeding difficulties is his favorite. In these cases, "frenectomies make a huge difference in a child's ability to nurse or eat. Parents have to trust their child's doctor, so my job is to be trustworthy, patient, caring, and skilled so I can live up to that trust!" "I love being able to help people lead happier, healthier lives." When he isn't working with babies and other patients in the practice, Dr. Mikel speaks at elementary schools to educate kids about oral health care. He also lectures around the state to help healthcare professionals understand the effects of tongue and lip ties. For fun, Dr. Mikel enjoys watching the Colts, Pacers, and Hoosier games. He also enjoys hanging out with his wife, Natalie and their golden retriever puppy, Luna. 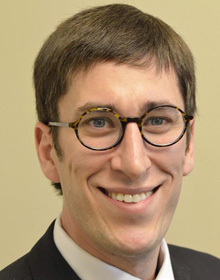 Dr. Mikel enjoys spending his free time working out, running, and playing tennis.